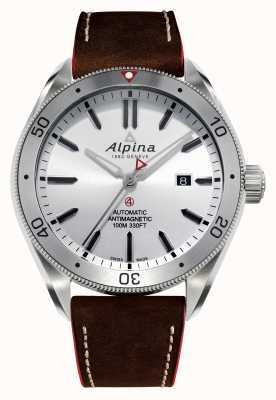 A NEW Smoked Dial Alpina Watch! Authorised retailer for Alpina Watches. Free delivery, 30 day free returns and five-star rated service. Buy now with up to 12 months 0% finance. Alpina watches are some of the most robust and reliable sports watches on the market today. This luxury Swiss brand has been worn by top actors like Billy Baldwin and sports stars like Aurélien Ducroz. 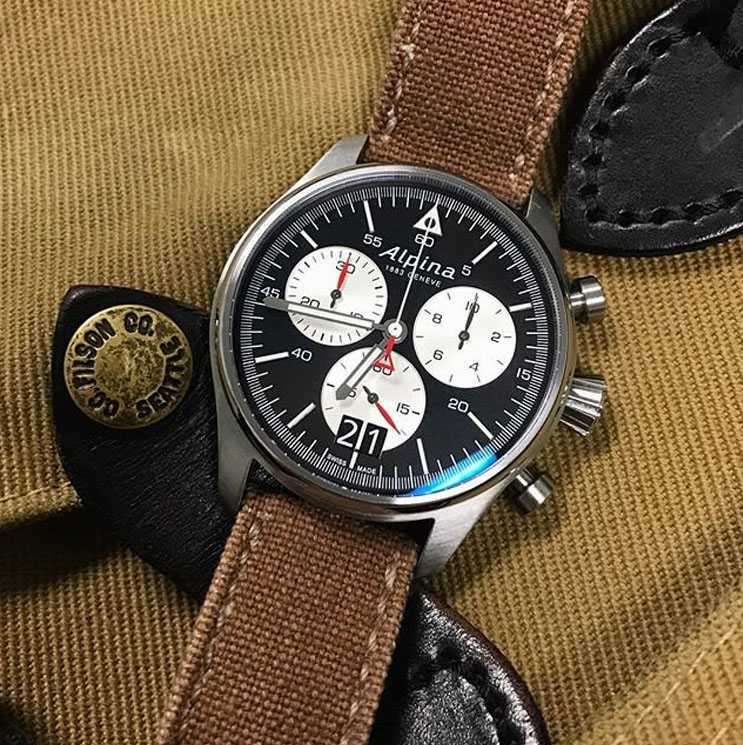 Although Alpina is a brand with a rich history, they are also a brand which looks towards the future by producing watches with cutting edge technology. 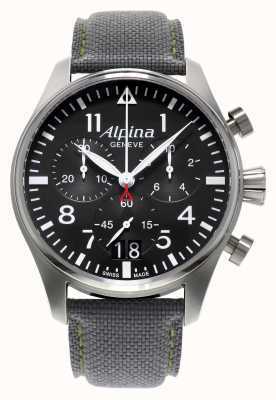 One of the examples of Alpina’s modern technology is their work producing top quality Swiss Horological Smartwatches alongside Frederique Constant and Mondaine. 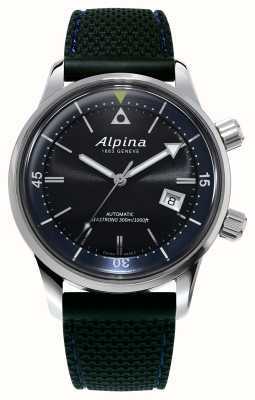 Alpina was founded in 1883 by Gottlieb Hauser when he founded the Swiss Watchmakers Corporation. Hauser’s vision was to unite Swiss watchmaking forces to achieve the highest quality and technical innovation in manufacturing. 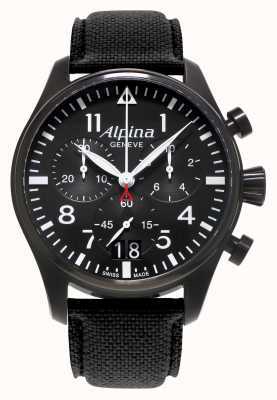 The members of the union aimed to sell watches under the Alpina brand name. 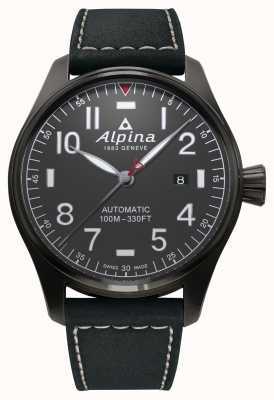 The Alpina trademark was registered in 1901 by Jacob Straub for his line of 12 and 19 line calibres. 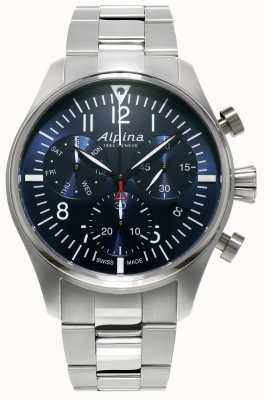 Straub was the Union’s main calibre supplier, which means that most high end watches produced by the union carried the Alpina mark. 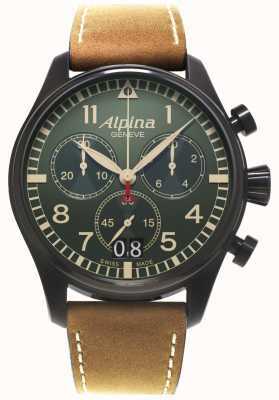 The first sports watch by Alpina was released in 1933, making Alpina one of the first sports watch manufacturers in the world. 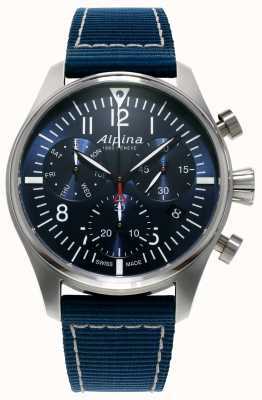 Alpina was hit hard by the quartz crisis and looked set to disappear altogether until they were acquired by Frédérique Constant SA in 2002. The company is now back in its place as one of Switzerland’s top sports watch manufacturers. 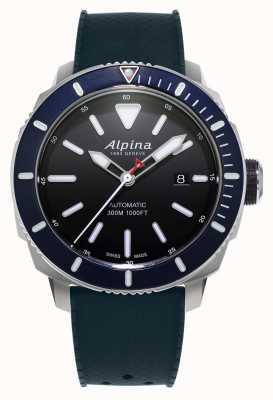 Alpina are driven by the “Alpinist” philosophy which they say is the reason for their being and the purpose of their work. The “Alpinist” philosophy states that you should: Be Perseverant, Think Independently, Trust Your Instincts and Don’t Forget Your Boots. 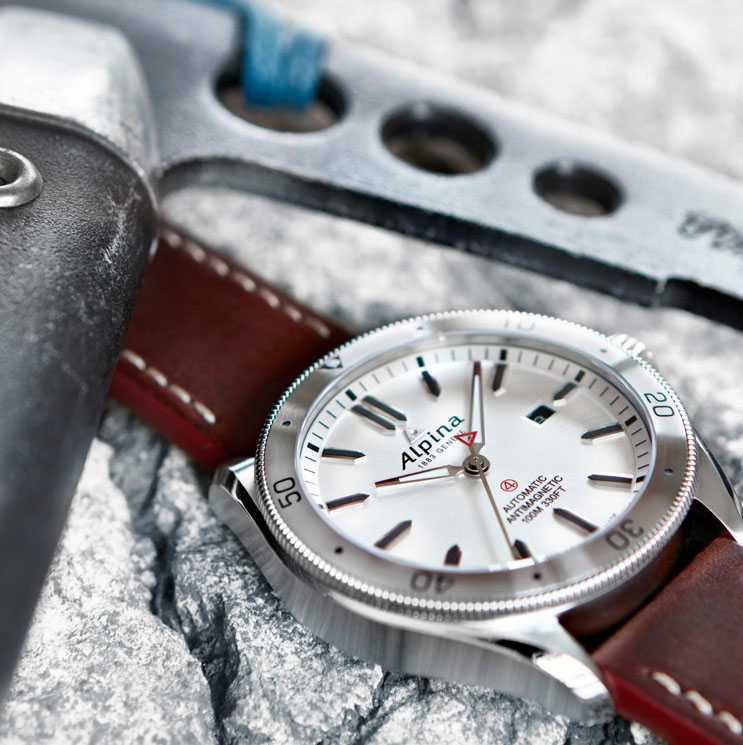 Alpina say that this philosophy is shaped by the attitude required by sportsmen to perform in the reality of the most difficult natural environments. 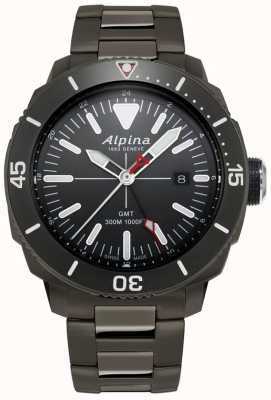 If you share and live by these values then pick up an Alpina watch today and you too can become an “Alpinist”. 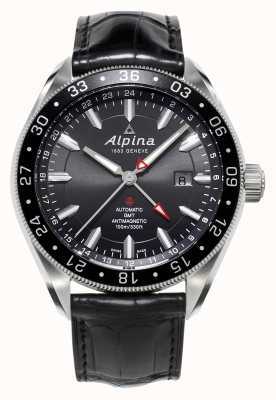 Watches like the Alpina Mens Startimer Pilot Automatic and the Alpina Mens Alpiner Automatic 3 epitomise the Alpinist values of the brand. 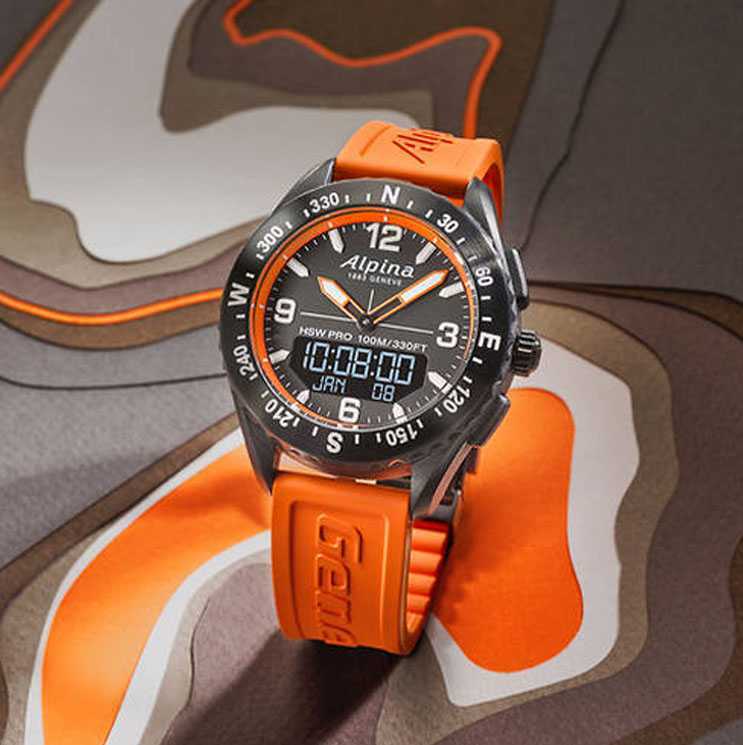 Sporty, Powerful and Refined. With Smartwatch functionality, the AlpinerX makes a powerful statement and yet is an exquisite, wearable timepiece. 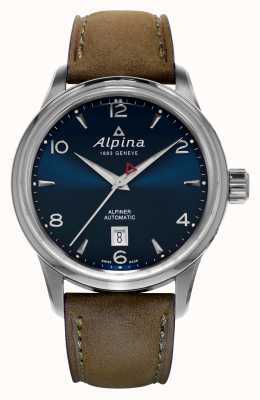 The Alpiner collection is perfect for any mountaineer, skier, snowboarder or hiker. 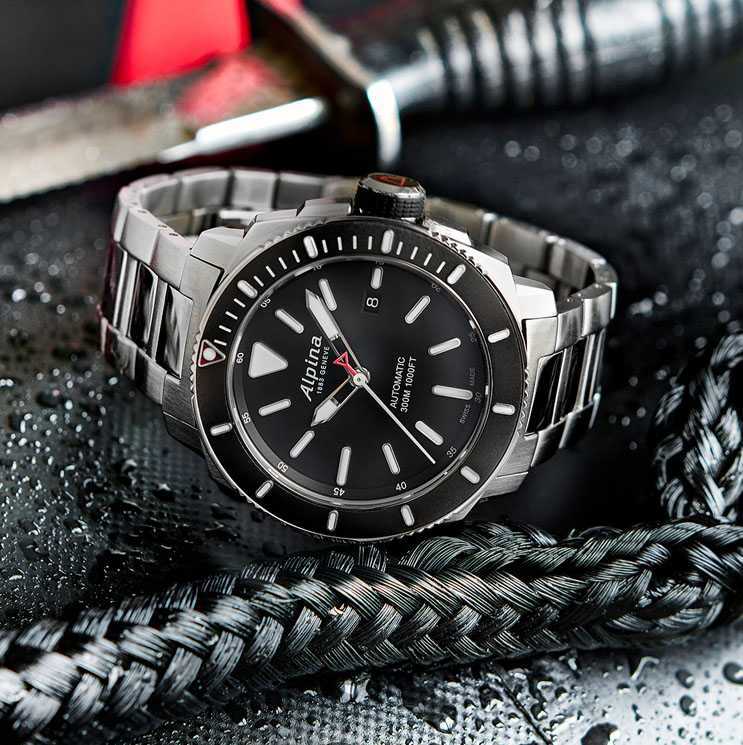 The Seastrong collection is perfect for any mariner, seaman, sailor or sea enthusiast looking to explore the waves that cover over 70% of the earth. 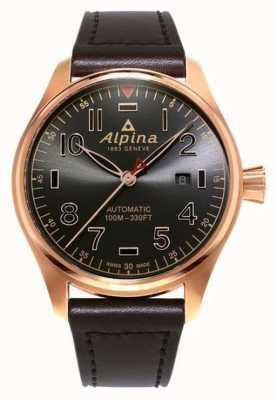 The Startimer collection is perfect for pilots, cabin crew and explorers looking to cruise the hot and cold air currents around the globe.